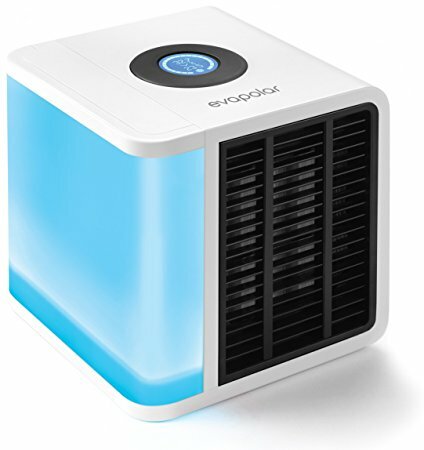 Arctic Air and Evapolar are both personal air cooler and humidifier. In addition these coolers also purify the air thus giving you refreshing, dust free air. They are claimed to be compact, portable, environment friendly USB-powered air cooler. The technology used is an evaporative air cooling filter that transforms hot air into cool air. It uses the simplest and most efficient cooling process – water evaporation, taking hot and dry air and making it cool and moist. It does not uses any toxic coolants and is 100% safe for children and pets. How much area does it cool? Arctic Air and Evapolar – 45 sq. ft.
Evapolar is easy to set and use. Compact in size and portable. Patented EvaBreeze evaporative technology – based on a unique nano-material used in evaporative pads. This inorganic material substance prevents bacteria spread. Compare what do I get? 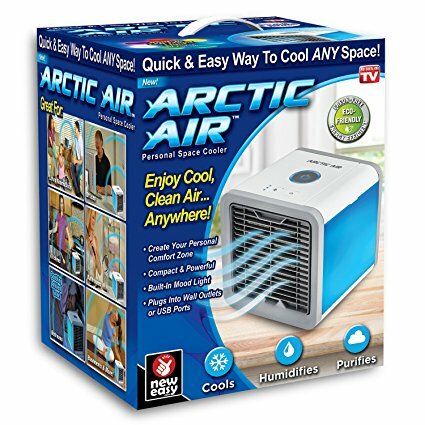 Arctic Air – 1 x Arctic Air, 1 x Air Filter, 1 x USB Power adapter & cord, Instruction Guide. Evapolar – Cartridge, power cord, power adapter. Arctic Air – Not Mentioned. Evapolar – 1 year manufacturer limited warranty. Built-in mood light to soothe your mind and body. Plugs into wall outlets or USB ports. The speed of fan can be adjusted in 3 settings according to your comfort. Does not really work as expected. It does not cool the air instead creates a pool of damp air. Fan works in just one direction and not in 3 as promised. It has a loud noise thus disturbing the environment. System leaks easily creating a mess. Water runs out in 1 to 2 hour. It can even runs off a phone charger. The machine is pretty quite. Works very well and can cool tent when camping. It has got Intuitive controls. Neat Lighting for setting the mood and relaxing. Useful to 40 degrees and 70% humidity. Does not cool the environment as like that of an air conditioner if it is what you were expecting. Be the first to comment on "Arctic Air vs Evapolar | Compare As Seen On TV Evaporative Coolers"